German bread post! 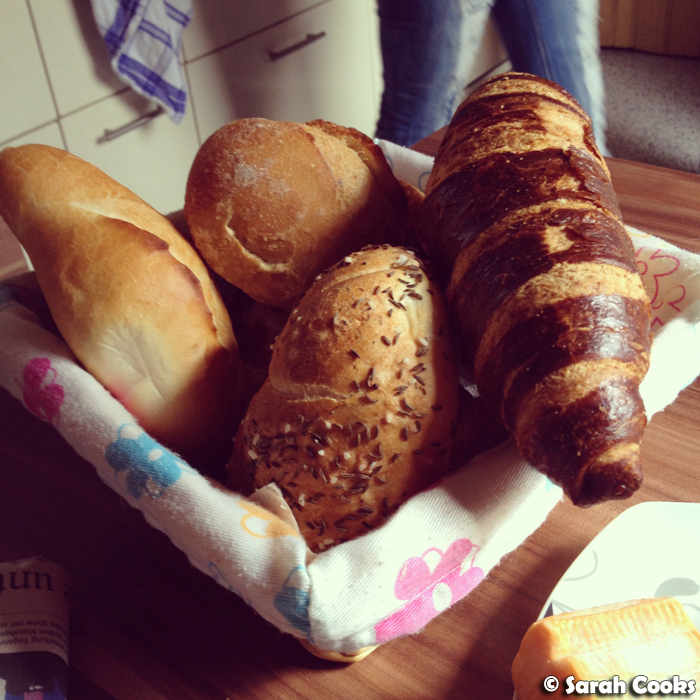 I love, love, love German bread, and the three weeks we spent in Germany were like a continuous carb fest. Jawohl! 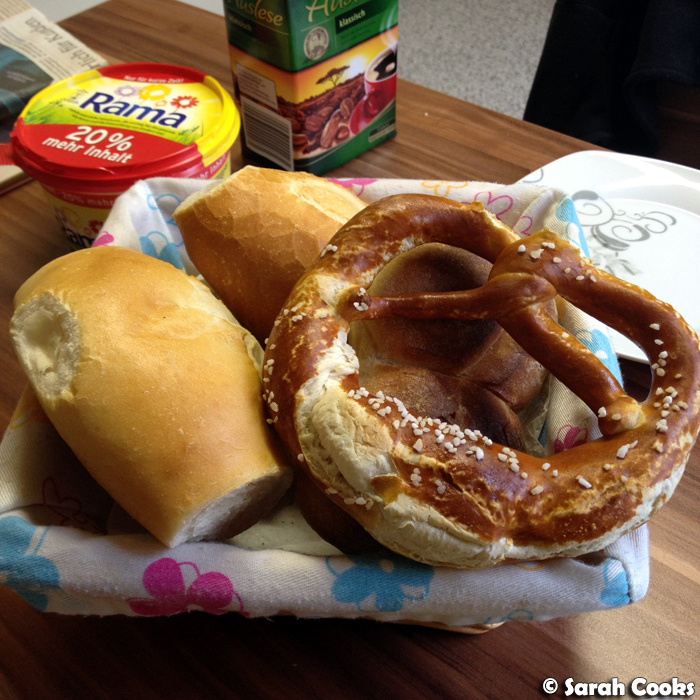 Each morning, Sandra's dad would go to the local bakery, and purchase a selection of frischgebackene (freshly baked) bread rolls and pretzels for us to eat at home with Sandra's mum's homemade Kirschmarmelade (cherry jam, made with cherries from their tree! ), or perhaps some porky products from the supermarket or local farmer, all washed down with a strong mug of filter coffee. 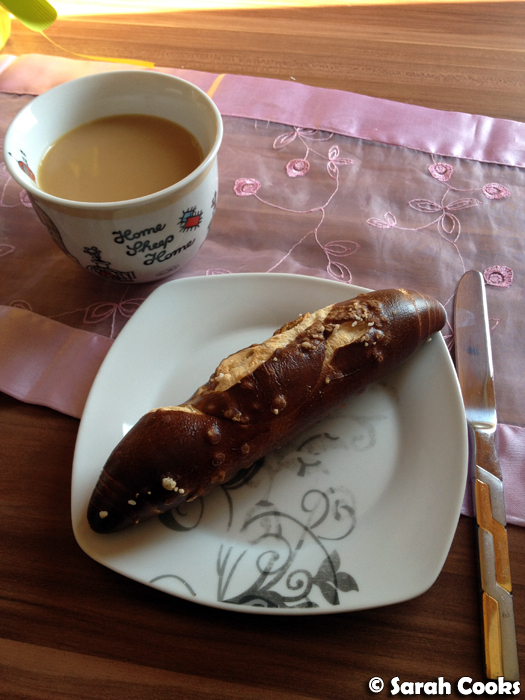 Oh lecker! 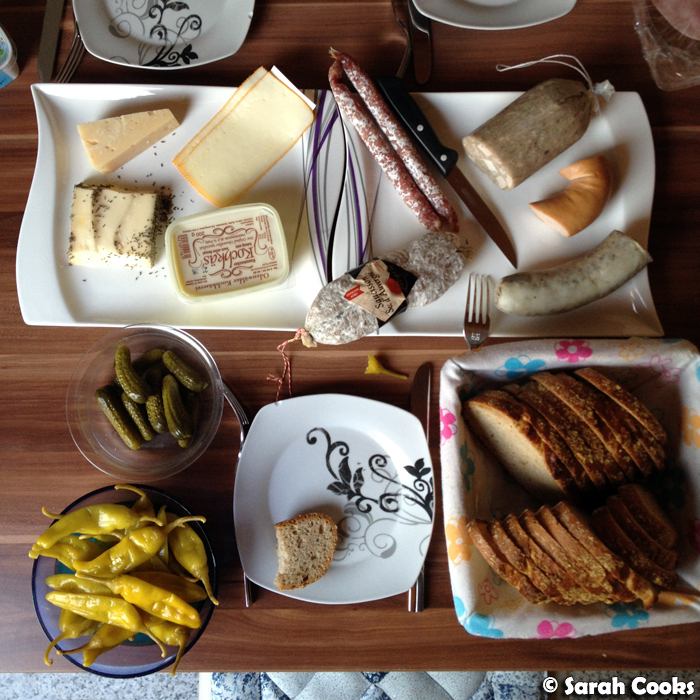 In addition to the breakfasts, we had quite a few Aufschnitt dinners (cold cuts, bread and cheese). So much Teutonic deliciousness! 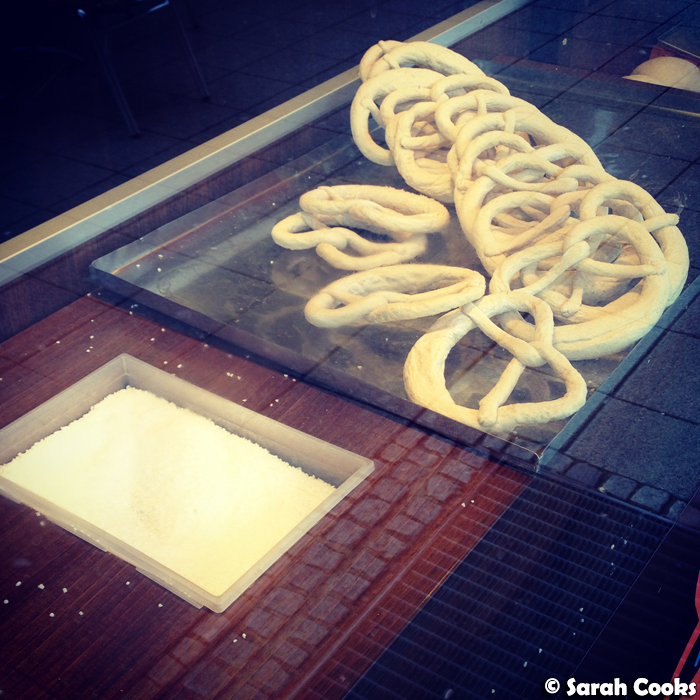 Here's the pretzel machine in the front window of Grimminger bakery. 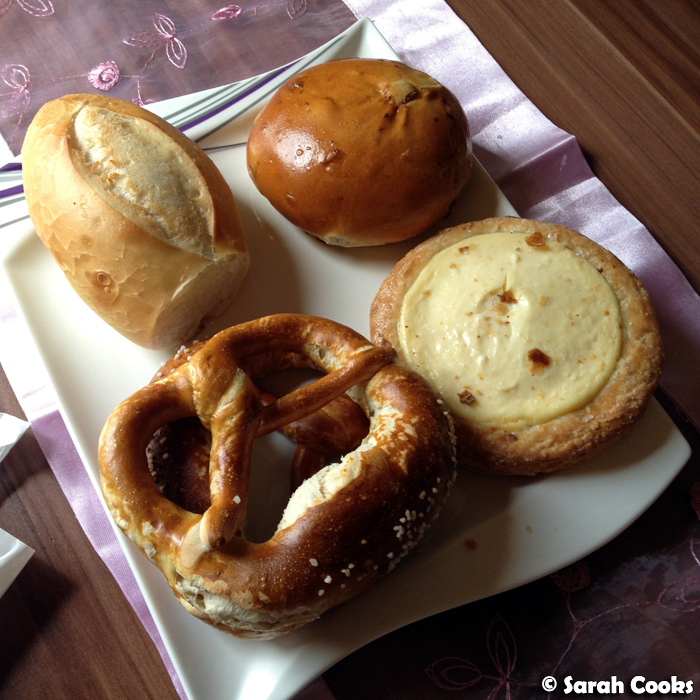 Although I totally love the pretty presentation and generous servings of German cakes, I'm much happier with a plain-old salt-crusted pretzel or a normal white Brötchen (bread roll)! 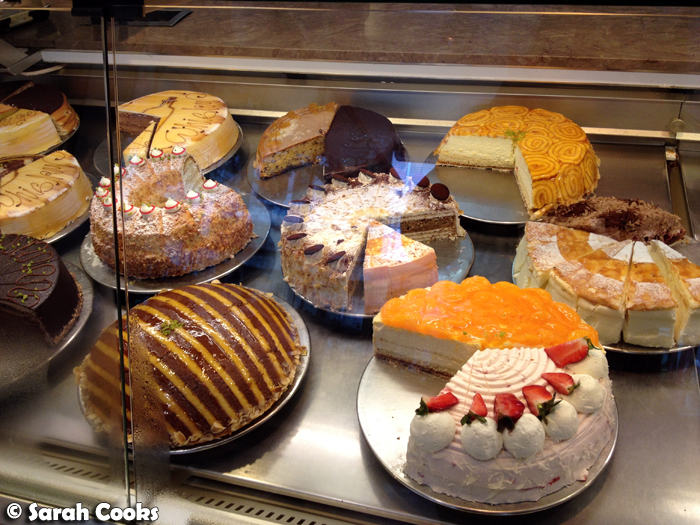 So with that out of the way, let's focus on some Bäckerei! 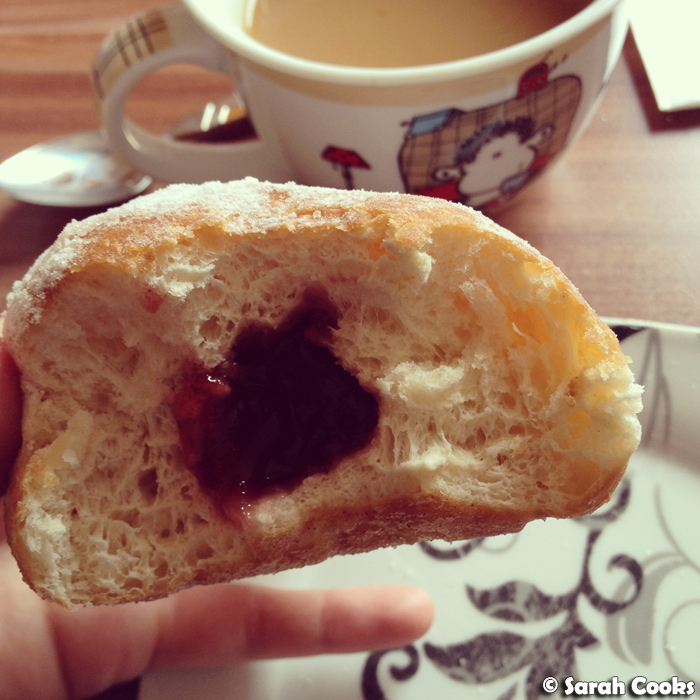 A Berliner for breakfast. I love the soft powdered sugar, and the fluffy fluffy dough! In the above picture, we have a pretzel, normal white Brötchen, a soft and slightly sweet Rosinenbrötchen (raisin roll - soft and sweet by German standards, but nowhere near as sweet as, say, Bread Top Hong Kong-style bread), and a Quarkplunder (a Danish filled with quark. And yes, har har har "you can plunder my quark anytime"). 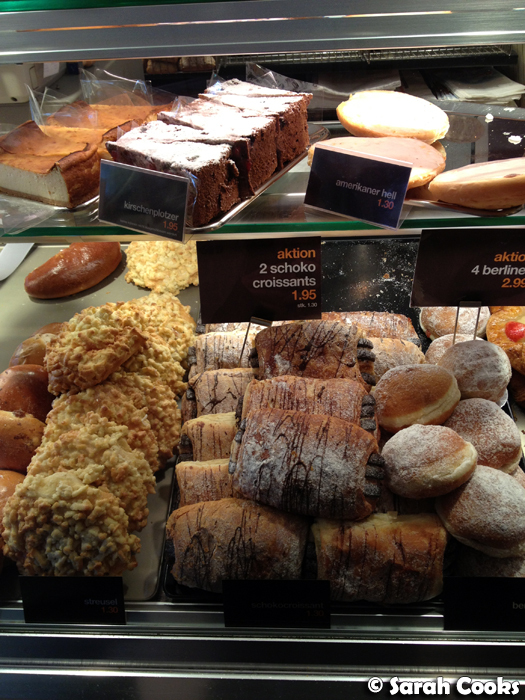 A Milchbrötchen (milk bread roll, or "Milchwek" in the local dialect), is an unsalted, lightly sweetened bread roll with (duh) milk in the batter. Also in the above picture we have Salzbrötchen (white bread roll with salt and caraway seeds), a normal white brötchen, and a Mohnbrötchen (poppyseed bread roll). 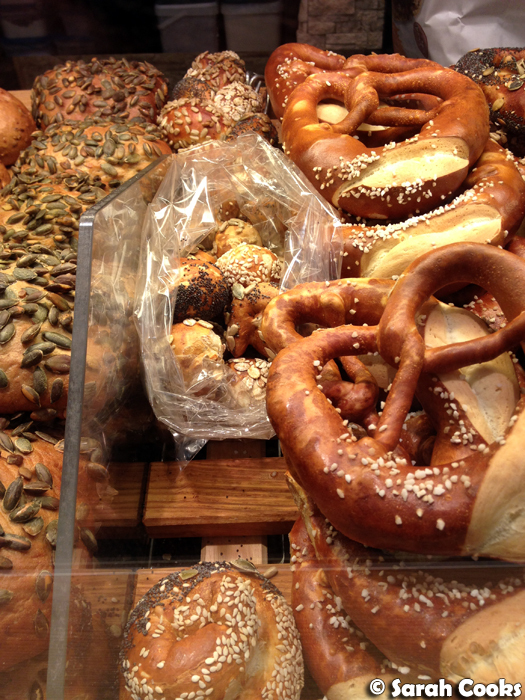 Let's talk about pretzels in more detail. 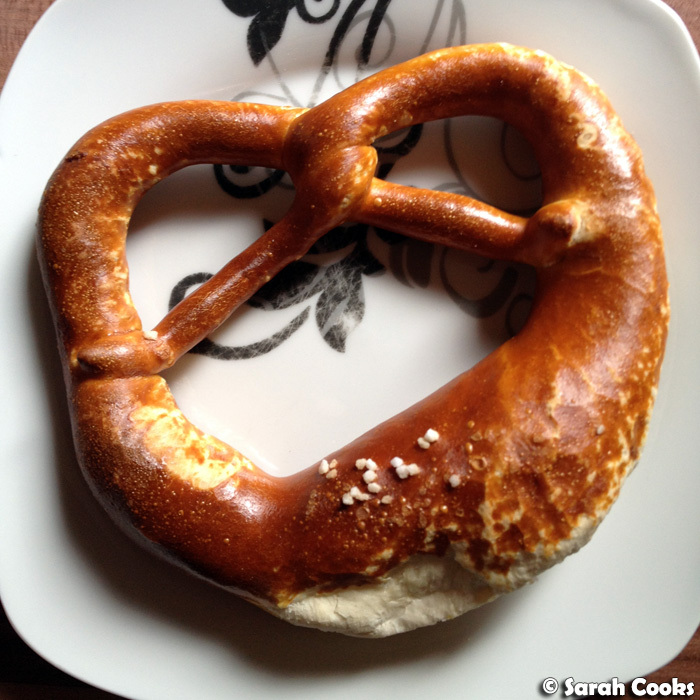 In Germany, the big soft pretzels are called Laugenbrezel. 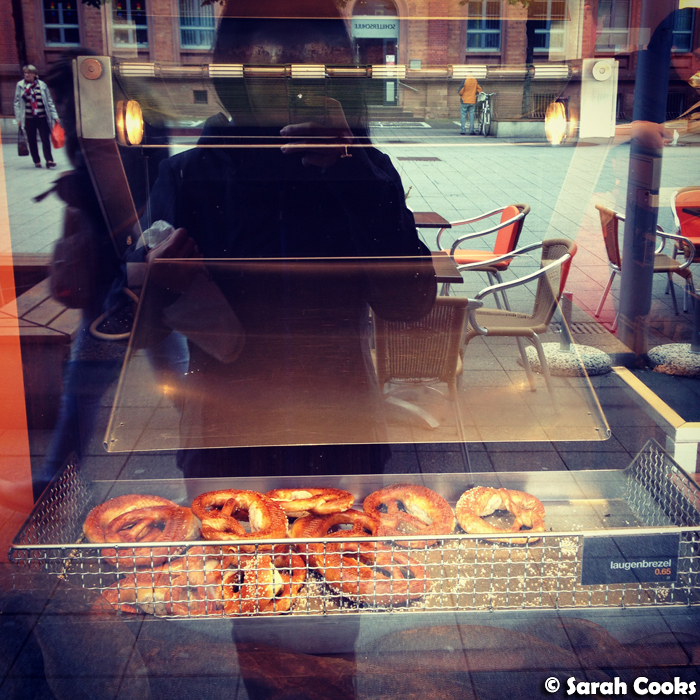 "Brezel" means, well, pretzel, and "Laugen" is the lye solution in which the bread dough is dipped before being baked. (Or, for home cooks, a bicarbonate of soda solution, which is what I use when making homemade pretzels... although now I wonder if it would be more accurate to call my bicarb-dipped homemade pretzels: "Doppeltkohlensäuresnatronbrezel"). 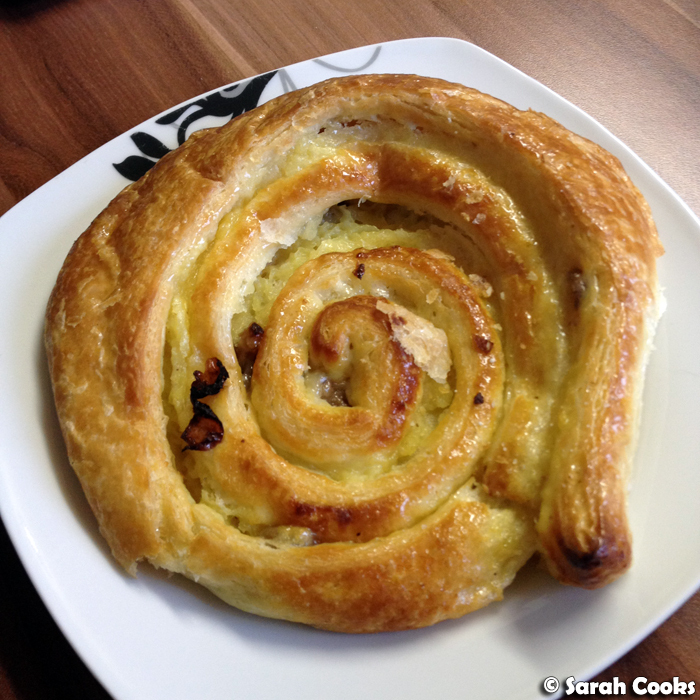 Of course, Brezeln aren't the only things you can make out of Laugen-dipped dough. Below, we have a Laugenstange, which is Laugen-dipped dough formed into a stick shape. Also popular are Laugencroissant. (On the right hand side in the below picture). 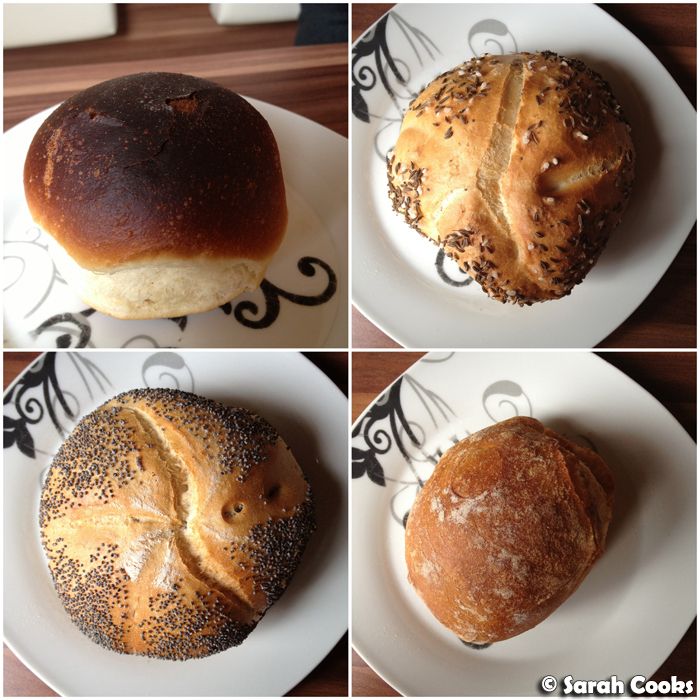 The next few photos are of some bread-based meals I enjoyed whilst in Germany - putting all that lovely bread in context, so to speak. 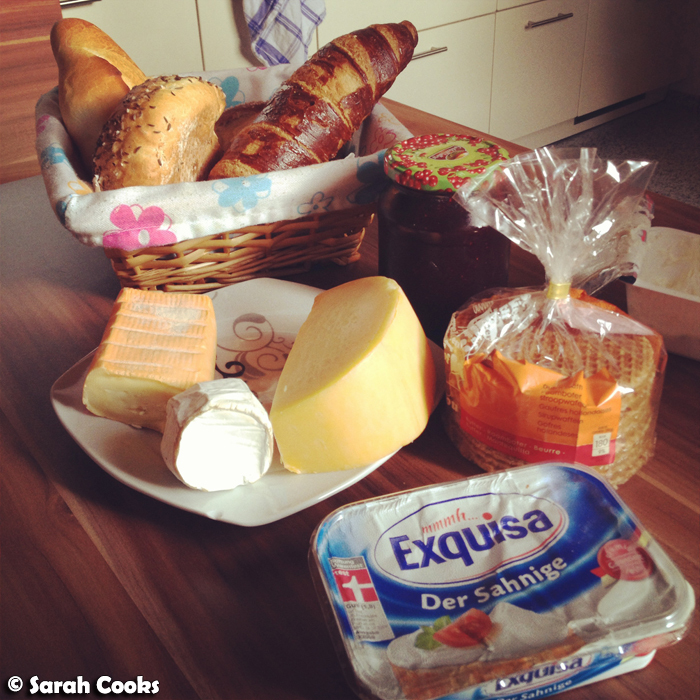 Apart from the lovely homemade Kirschmarmelade, I loved having cheese for breakfast, as well as Frischkäse, which to my mind is like a cross between cream cheese, ricotta, mascarpone and cottage cheese. In other words, delicious. 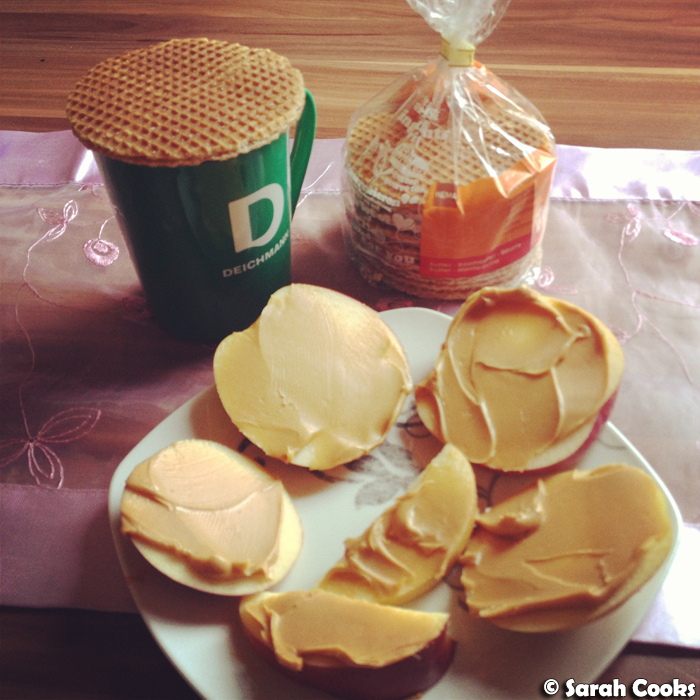 You'll also see a packet of Dutch stroopwafels in the below picture - more on that later. 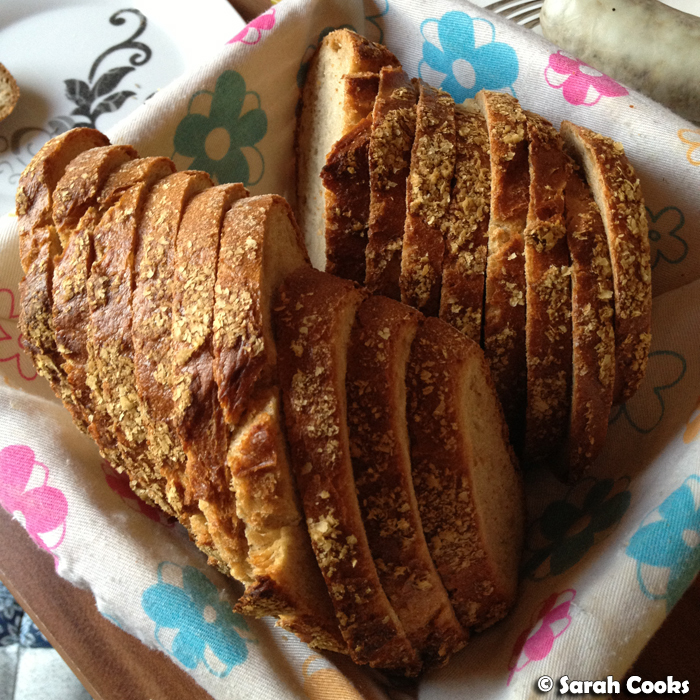 This is a loaf of gorgeous potato bread from Grimminger, which we had for dinner one night with a whole bunch of fab accompaniments. The cheeses were sliced Butterkäse, a tub of gloopily delicious Kochkäse, and a couple of cheeses that we got from the local Italian deli - one coated in caraway seeds, and a strong Parmesan. 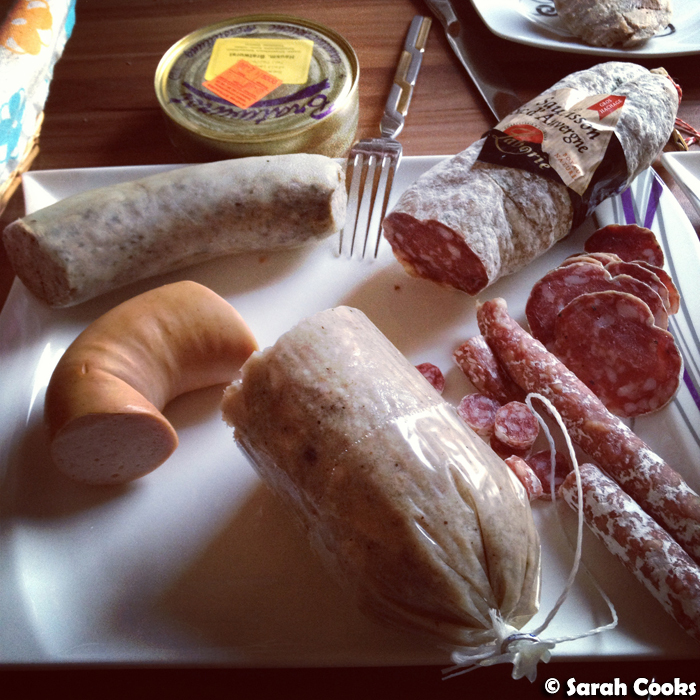 The two dry-looking salamis were a Saucisson Sec d'Auvergne and some sticks of wine salami that we'd picked up in Paris. The German contingent, on the left side of the plate, from top to bottom, were tinned Bratwurst, Leberwurst, Fleischwurst and Schwartenmagen. The next two pictures are of the first breakfast I had on this trip - a simple loaf of Bauernbrot (farmer's bread) with Frischkäse, Knackwurst, and my favourite: Bratwurstfilzl (yes, raw bratwurst AKA Mettwurst, and yes, it's awesome). While we're talking about breakfasts, I just wanted to share with you a couple of non-bread breakfasts I had. 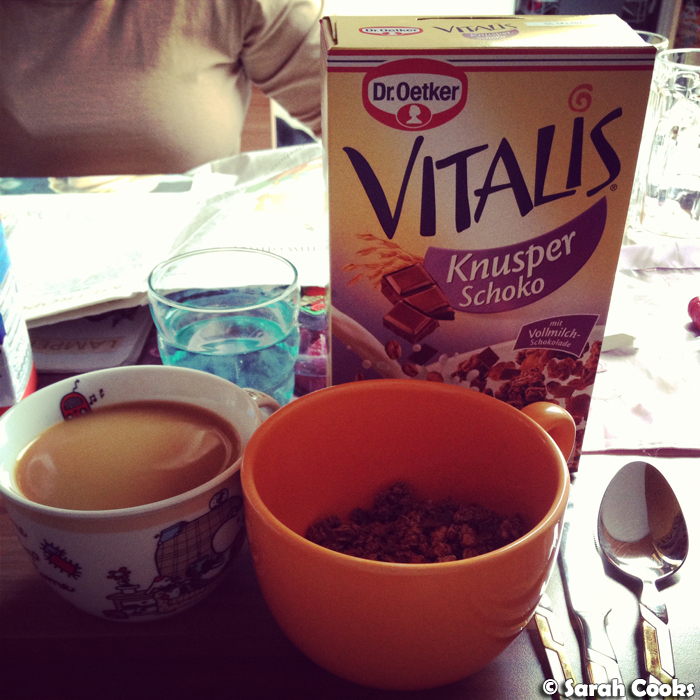 This is Dr. Oetker brand Vitalis crispy chocolate muesli! (Well, I was on holiday, after all!) So crunchy and fabulous. I brought a box of it home with me too, and can't wait to try out the recipe on the packet for Buttermilk Knusper Shoko Muesli pancakes! Next up was a simple apple with peanut butter (my addiction! 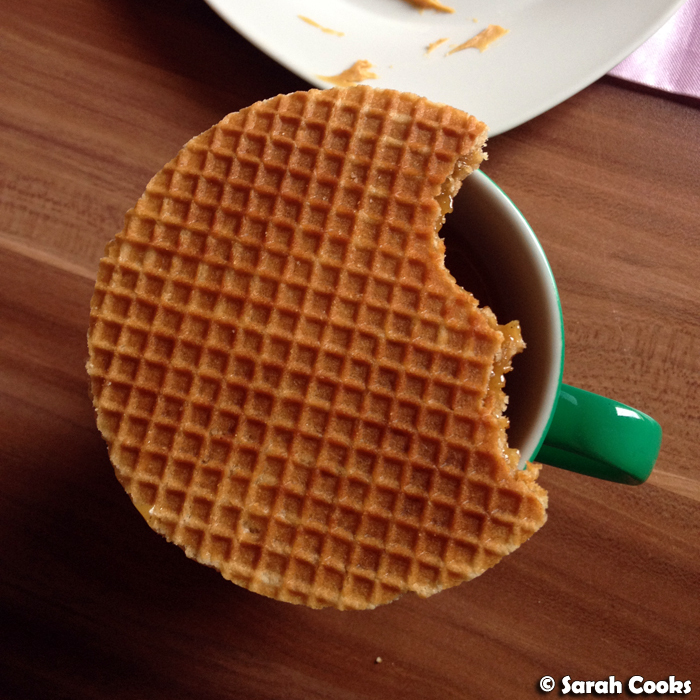 ), as well as a Stroopwafel from Hema. I wasn't a fan of the Stroopwafels - too sweet and not crisp enough - but perhaps I need to make the trip to Holland next time, and have a freshly baked one at a market! And after reading this post, I am sure you'll understand why I've been at the gym constantly since we came back! 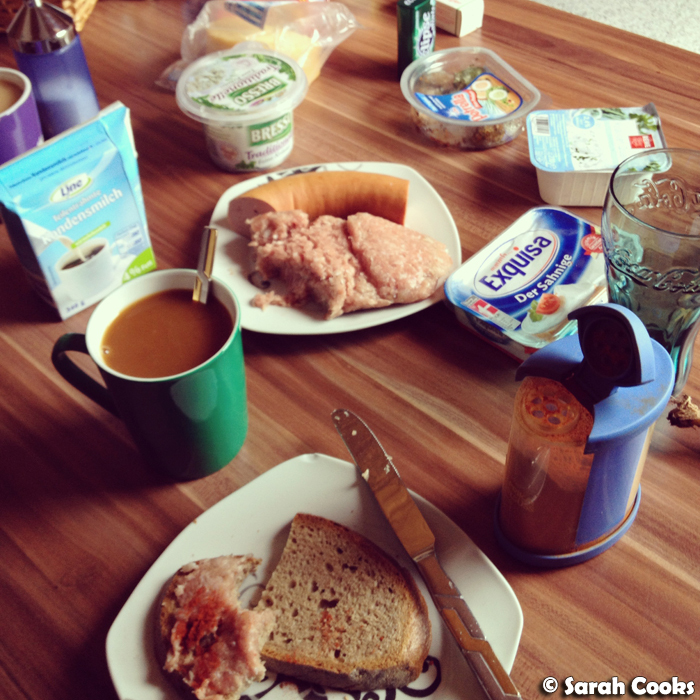 When you're overseas, do you mix it up and try the local breakfasts? Or do you go out of your way to have your regular breakfast? I was totally making that plunder-my-quark joke in my head at the same time as I read you making it. HIGH FIVE. 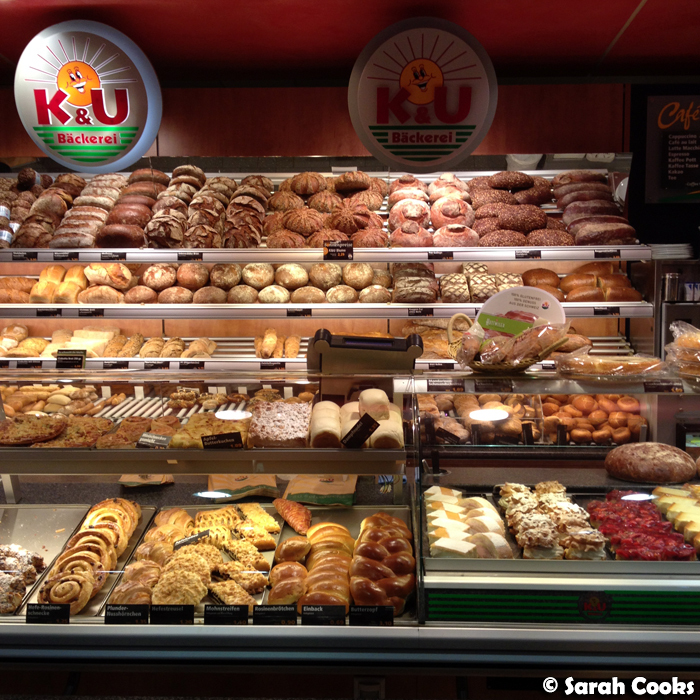 So much bread and goodies! I'd love to try the vanilla scroll and I'm in LOVE with stroopwafels but it's so annoying so hard to get here! I used to not be a fan of bread but now i'm a convert! 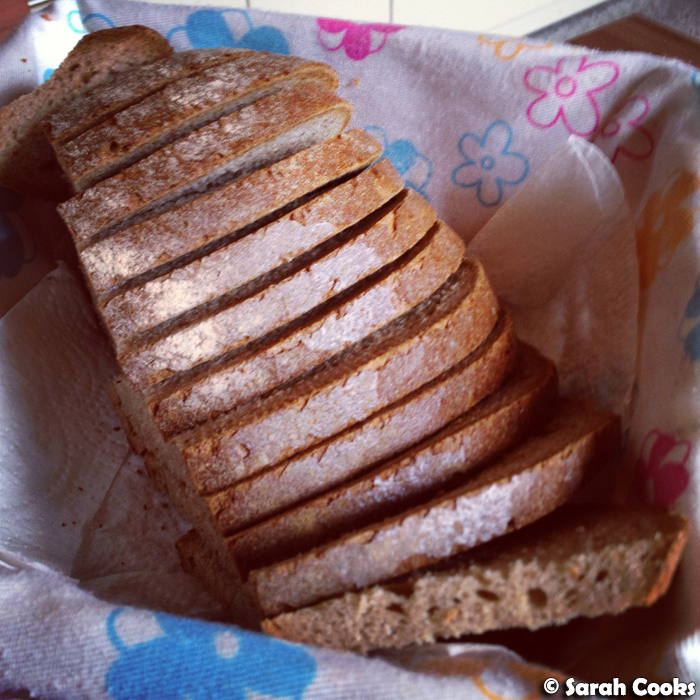 Sourdough and dark rye make me excited! You don't need to go all the way to Holland for freshly made Stroopwafels - there's a store at the Capital Region Farmers Market that makes them. Perfect for crisp Canberra mornings! androgenetic alopecia reveals a locus on chromosome 3q26.